I hope everyone has someone that they call their “best friend,” or at least someone who was your best friend in the past. Though more-intimate relationships can offer incredible insight into life and the world around you, there is nothing like a truly platonic best friendship. Best friends are there for us when we need them, without hesitation, judgment, or negativity. 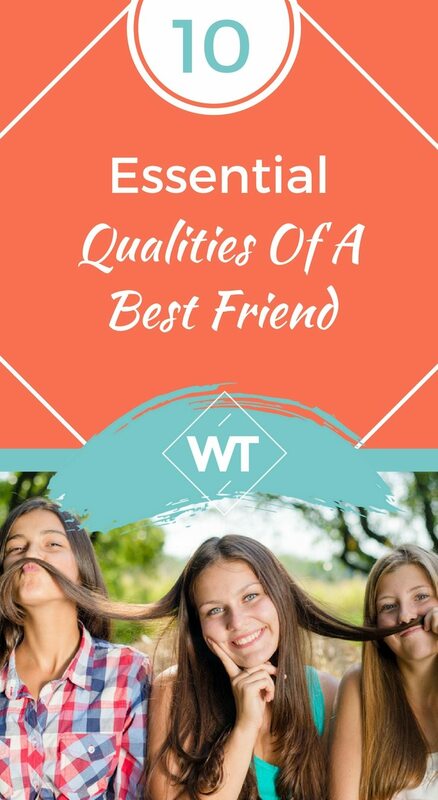 There are plenty of great things inherent in the qualities of a best friend. Here are a few of our favorite. Hopefully, you and your best friend are able to be fully honest with one another. There is such a difference between a pal and a best friend, and it is usually evident in how two people speak to one another. Best friends are able to tell the truth about outfit choices, current love interests, and weekend plans. There is nothing like getting to that level of comfort with someone – the level that allows your brutal honesty to be wholly accepted. Best friends can also be called “personal cheerleaders.” When you are having a bad day, even one of the worst days of your life, your best friend is there for you to complain to and will likely cheer you right back up. Even in the grouchiest mood of my life, my best friend can always make me laugh – after she has listened to me complain for a really long time. It is so nice to have a person remember all of the names of your ex-boyfriends, or all of your food allergies, or the kind of restaurant you prefer to dine at during a night out. My best friend remembers things about my life that I don’t even remember, and that really comes in handy sometimes! Though not all best friends will know you better than you know yourself, but they’ll get to that point eventually. …..no judgment, that is. Best friends may question your personal decisions from time to time, but they will hopefully never judge you for them. Best friends will defend your honor if someone else judges your choice—in hairstyle, new partner, career path, or anything else. Having a best friend to back you up and assure you that anything you do is right for you at that time in your life is a great feeling. I have a few best friends that live a bit further from me than I would like, but it has never affected our friendship. Though it is tough to live away from your best friend, there are some perks. Hilarious text messages, weekly video chats, monthly phone calls, and annual visits to see each other are all worth the distance. The best part of a long distance best friend? It is never necessary to catch up – the familiarity never goes away. Many of your best memories will be wrapped up in your best friend. If the two of you have been friends for years and years, you must have thousands of memories that still make the two of you laugh. If you are newer friends, but still consider yourselves “bests,” there are so many years of memories to look forward to making with each other. The little things will stand out so strongly between you two – everything from not being able to stifle laughter in a crowded theater to the night you asked her to be your maid of honor. Memories are so precious, and best friends hold so many of them. Best friends understand everything, oftentimes making it unnecessary to even complete your own sentence. (If you are lucky!) It is a soothing thought—having someone who understands you. Cherish that in your best friend. After a break-up, a fight with your family, or even a bad day at work… a best friend offers the right amount of comfort. Best friends know if it is time for a night out, a glass of wine, a long hug, a so-bad-it’s-good movie, or all of the above. And sometimes, just talking to your best friend offers the perfect amount of comfort. Sometimes, no words are necessary, and presence is enough. You know when you are running a marathon and you are not so sure you are going to make it, but then your best friend is on the sidelines holding a handmade sign? Alright, not all best friends will fit into that scenario, but you get the idea. Best friends are always there for you, cheering you on when you are not so sure you are capable of whatever you are about to do. Perhaps the most important best friendship quality of all is laughter. Who else can make you laugh until you cry, 95% of the time? Your best friend is your humor-twin, and that is something to be so thankful for. 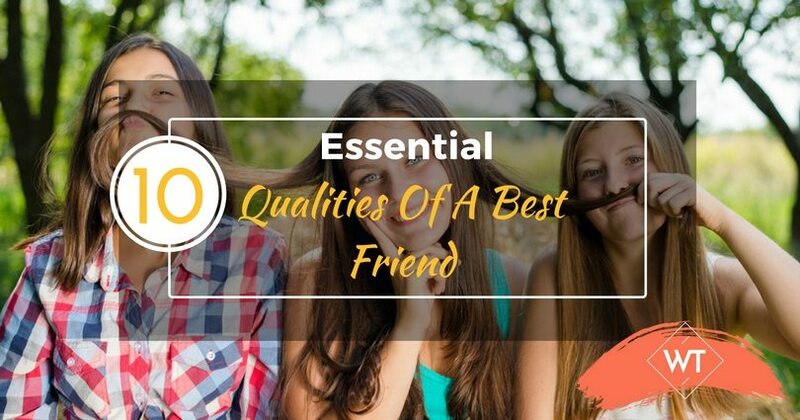 Why are these qualities so important? Friendship is a wide topic and everyone is different, but there is something really special about a good friend. Friendships built on honesty, loyalty, trust, and laughter are the friendships that will save you on a rainy day. (Literally and figuratively.) Make sure you retain these qualities in yourself as well as seek them out in others!